Automobiles, whether a car or a bike, have become an object of flaunting one’s personality. People spend a lot on automobiles and expensive cars and bikes have become an inherent part of one’s everyday life. Automobiles are precious possessions, which demand care, maintenance and safety as well. Accidents can happen at any time, anywhere. However, there are different techniques present in the automobile repair industry to tend to all the damages to a car or bike. Most companies and automobile dealerships have revamped techniques to make the cars look as good as new. Auto Body and Collision is mainly the process, which covers all automobile repairs, from a simple bumper replacement to major issues such as catalytic converter replacement. The Auto Body and Collision process mainly deals with repairing the car physically to representing the car owner in front of the insurance company as a private liaison. 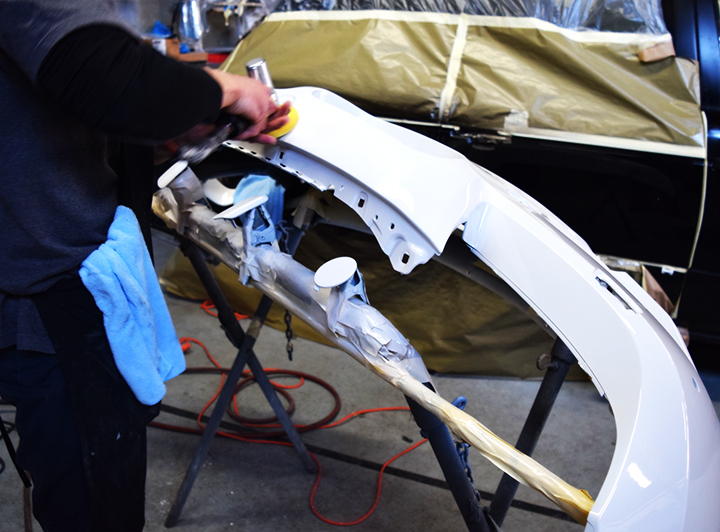 TheAuto Body and Collision process is used by the people at body shops to provide full guarantee of repairs they do. Most people think that to carry out this process, they have to find the biggest place around their area. However, that might not be the best option as it can be costly. The service is quicker no doubt; the charges even for the minor repairs are higher as compared to small-scale body shops. The automotive paint is mainly the paint used on automobile, which bring out the real appearance of the car or bike, making it look appealing. The process consists of three main coats, which have to be applied on the car. The primer is the first coat to be applied on the car. The main job of the primer is to act as a leveler and protector. This is to make the application of the next coat (Basecoat) easier and faster. The structure of the car usually has defects so the primer works as a leveler to cover all the defects and provide a smoother surface for the car. The primer works as a protector as well to protect the car from corrosion, heat differences, bumps, stone chips, UV lights etc. The basecoat is added after the primer and is basically referred to as the paint, which contains the visual properties of colors and effects. Basecoat contains three categories. This is the transparent coat that is sprayed over the basecoat for protection from abrasion and UV lights. Clear coat is either solvent or water-borne. Auto detailing is the process, which includes thorough cleaning, restoration, and finishing of an automobile. The process is carried out both in and out to produce a high-quality and detailed automobile. The process includes two stages. It includes all the components of the car that are present on the outside such as, chrome trim, windows, wheels, tires etc. The inner of all the automobiles are dealt with in interior detailing. The components, which are targeted, might include, synthetic carpet upholstery, leather, vinyl etc. These are some of the repair techniques and methods used by body repair shops and automobile dealerships to protect your automobile from internal as well as external damage.